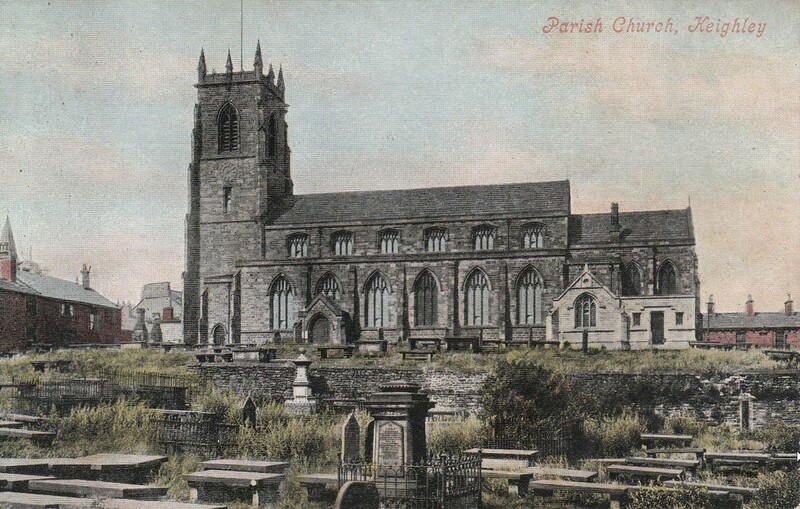 The earliest written record of a Keighley Church is mentioned in a charter, dated 1168-79, which refers to the Church of St. Andrews of Kichalaie. Up to 1750 the Julian calendar was in use in Britain. The year ran from March 25 to March 24. In 1750 the Gregorian calendar was introduced (the calendar we in use today). In the rest of Europe the Gregorian calendar had been in use since 1582. By 1750 Britain was 11 days behind the rest of Europe. When the Gregorain calendar was introduced, 11 days had to be lost - September 2 was followed by September 14 - to bring Britain in line with the rest of Europe. Baptisms and Church weddings were suspended under the puritans from November 3rd 1653, when babies were simply recorded as "borne" and civil marriages were recorded in the back of the register, signed by the local JP, Roger Coates, not the minister. From May 1658, Church weddings and baptisms appear again in the register in a different hand – apparently that of Thomas Danby who could not be instituted as Rector until the bishops were restored along with the monarchy in 1660. Taken from a printed copy of the registers not the actual registers.